How Powerful is CSS? 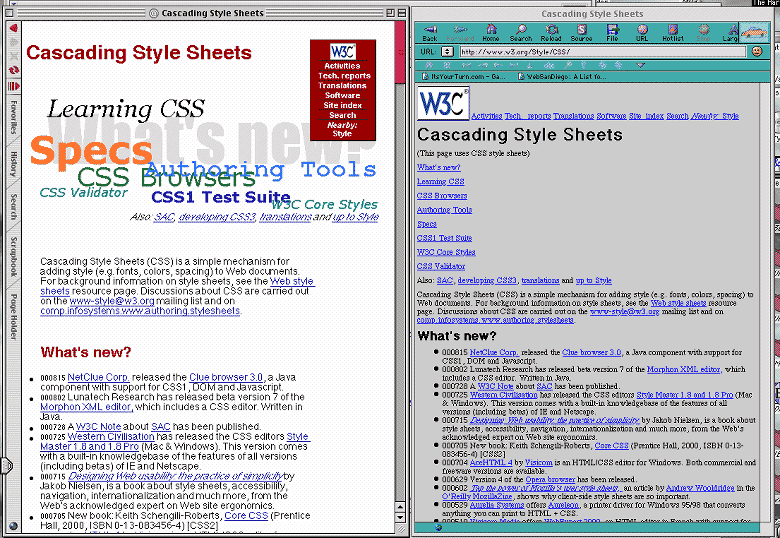 w3c site before and after CSS. Below is a PNG file which shows how powerful CSS is -- it's a screenshot of the w3c CSS homepage with and without CSS. The left side is Internet Explorer 5 for Macintosh, the right is iCab. I think it's a very good example of graceful degradation. To get "live" display of how different a page can look with or without CSS, you should drag CSS bookmarklets on my cool bookmarklets page. Have fun!